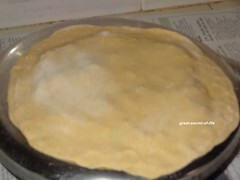 Mix wheat flour, salt, Tofu and make soft dough (add water as required. 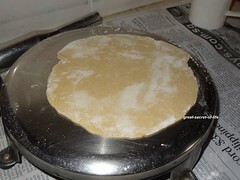 If you don't have tofu just add water and make dough like you will be doing it for chapathi). Keep it aside. Just before you are ready to make the paratha take a wider bowl mix together capsicum, grated cheese, coriander leaves, pepper powder and red chilli powder. Mix well. 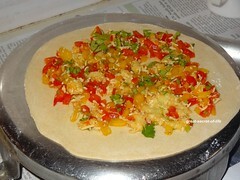 Now take a slightly smaller than lemon size dough and roll out to thin chapathi. 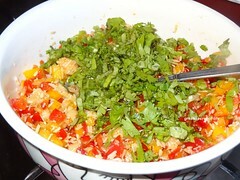 Keep the capsicum stuffing and spread it around. 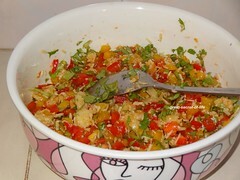 Make another chapathi and keep it on the top of capsicum mixture. And press the ends to close it. 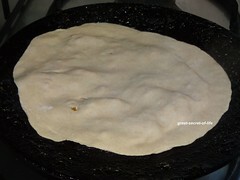 Heat the flat pan and when it is hot place the paratha and drizzle oil around it. When it is cooked slowly turn to other side and cook it. lovely!! i love capsicum, never thought we can make such awesome parathas, lovely clicks and thanks a lot for being so regular in my blog, much appreciated. These stuffed flatbread look divine! 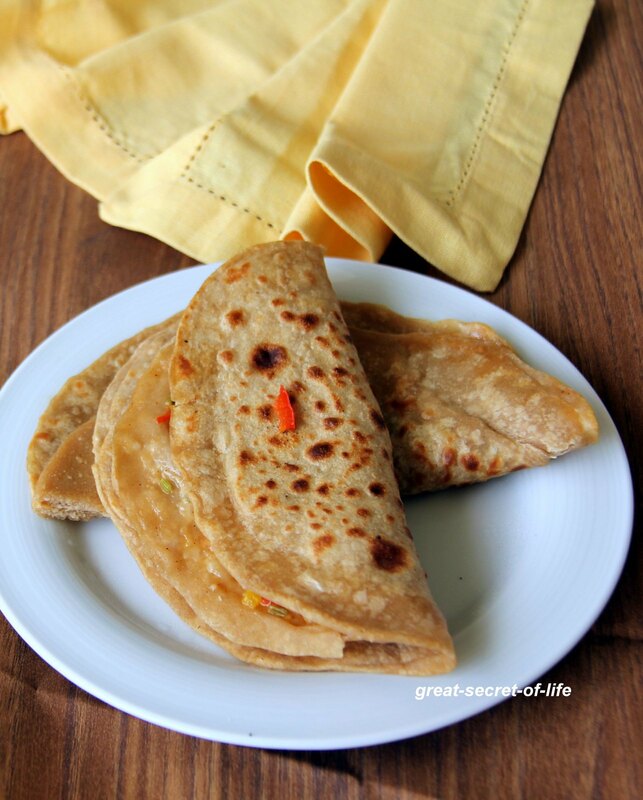 Capsicum cheese partha looks yumm. love this idea veena. 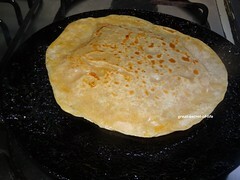 Lovely paratha, good for lunch box. nice idea. 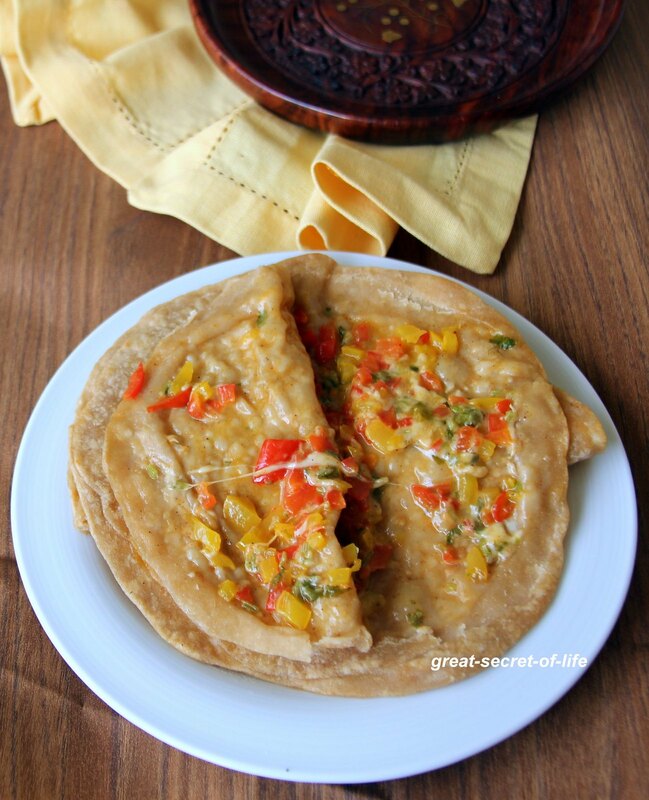 lovely paratha and nice capsicum and cheese combo..
Looks so soft and yum! 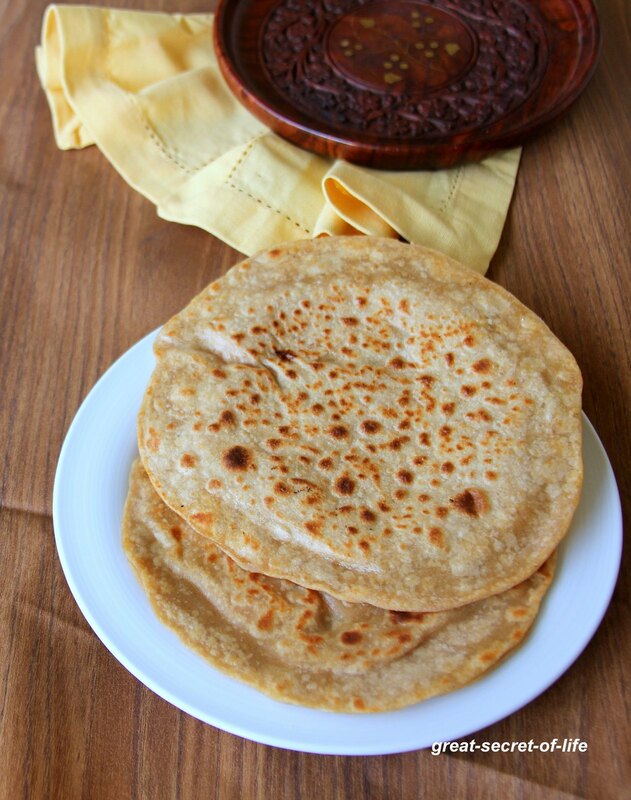 Am just drooling over that melted cheese, who can resist to this parathas..
Super soft ,yummy parathas ..Cheese ...hmm very tempting. Cool idea to incorporate veggies.